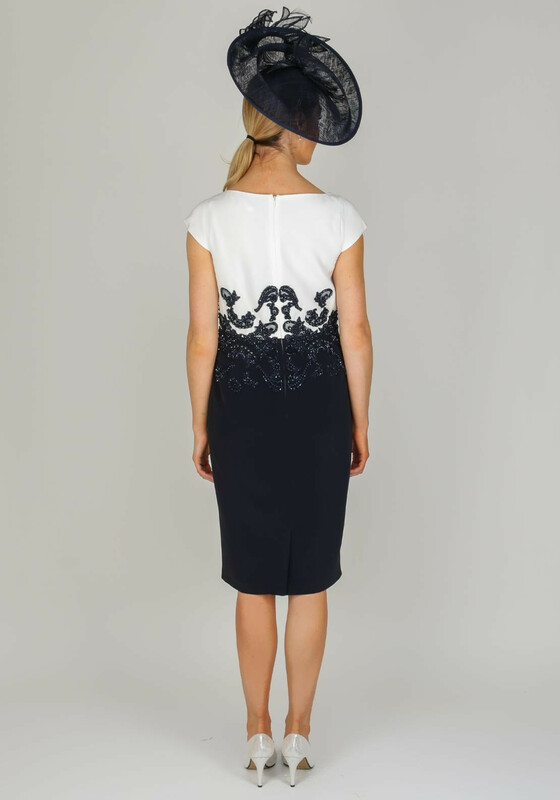 Add a headpiece and subtle jewellery to this dress and coat outfit from Veni Infantino for Ronald Joyce to create an elegant Mother of the Bride or Groom outfit. 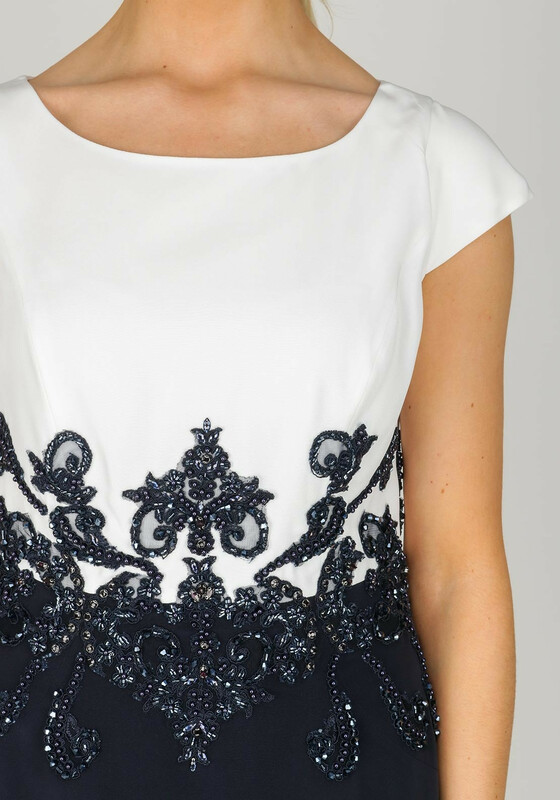 The cap sleeve pencil dress is made from fully lined lightly woven fabric and features an applique lace pattern with sparkling diamante and bead embellishment. 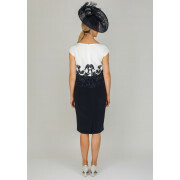 Designed with an ivory cap sleeve bodice and navy knee length skirt. 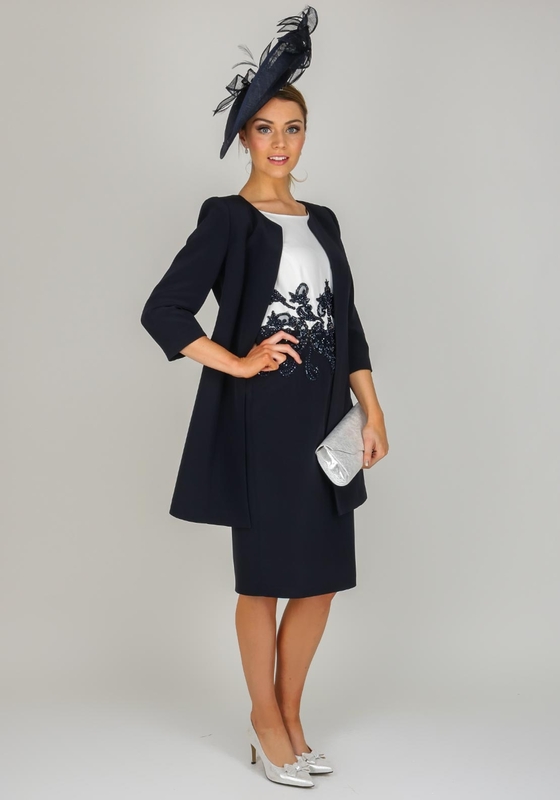 The slim fit navy coat has cropped sleeves and is styled with a mid-thigh length. 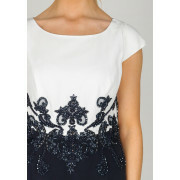 Length: Dress - 105cm approx. – midi length. 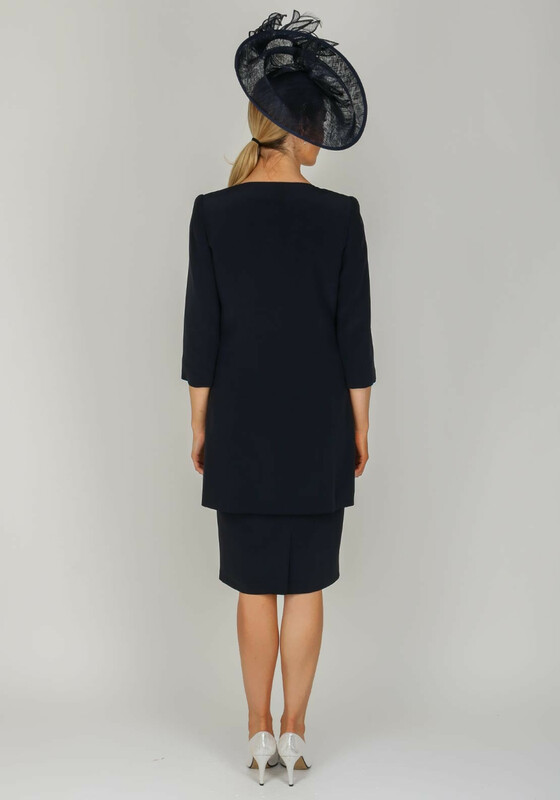 Coat – 87cm approx.